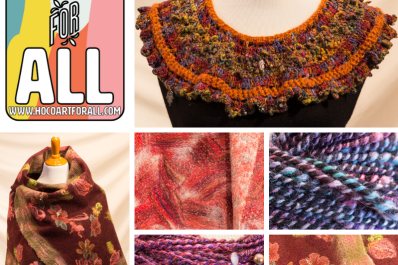 Join us April 26 - 28 for demonstrations and tours of Breezy Hill's fiber studio, boutique, and alpaca farm. This is our first year as a member studio with the Countryside Artisans of Maryland, and we could not be more pleased to be part of their Spring Studio Tour. What better way to join in the fun of Howard County's Art for All celebration of local artists and their artwork! 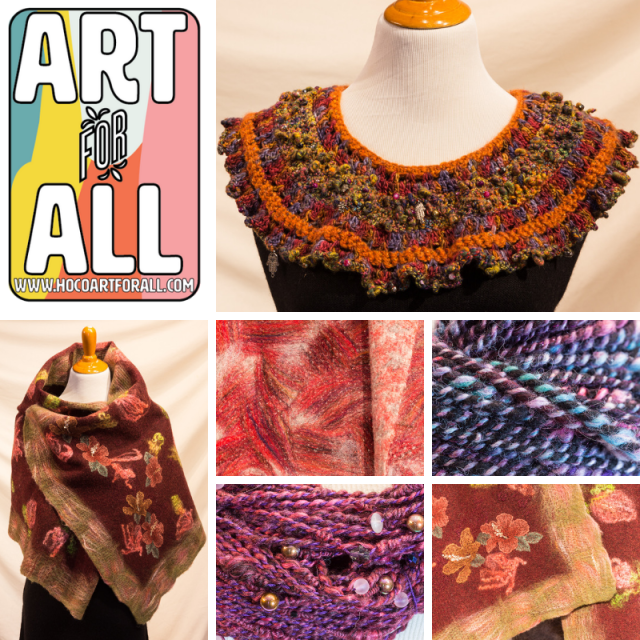 Our own fiber artist, Heather Lysantri, will be offering demonstrations throughout the weekend on techniques for creating gorgeous roving, felted works of wearable art, and beautiful woven pieces. We hope you will stop in for a demonstration and get your own creative juices flowing, inspired by the unique hand-spun, hand-dyed yarns and hand-crafted shawls, scarves, and more Heather creates. Crafters of all abilities are sure to find something that delights them!